This is a promotional video for Nwa Abakaliki Reloaded! 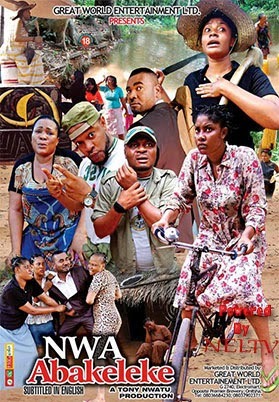 A Great World Productions, the village movie stars Oge Okoye, Prince Eke, Nkechi Nnaji, Tony Nwatu, among other acts; Nigeria Movie Network reports. The movie is produced by Anthony Nwatu, and directed by Mac Collins Chidebe. 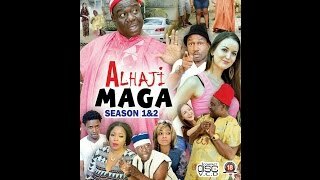 See what Nollywood Pictures TV had to say about the movie: "Another Blockbuster comedy movie that will forever leave your ribs creaked...Ada Abakaliki Reloaded will make you laugh to your high tune....A must watch...coming soon". Nwa Abakaliki Reloaded is a new Nigerian movie, marketed and distributed by Great World Entertainment LTD. Shop G2740 Electromart Market, opposite Premier Breweries, Onitsha.